The more survival situations we go through, the more skilled we become. That goes for anything, such as learning how to care for a dog. However, experience during a survival situation is especially crucial because sometimes it's life or death. We need every advantage we can get, so having the experience is a necessity. However, no everything has a survival situation they've been through or want to go through, so they look to other for advice. Many survival experts know their stuff, and we luckily can rely on their tips and judgment to help us get through our own experiences until we learn what works for us. 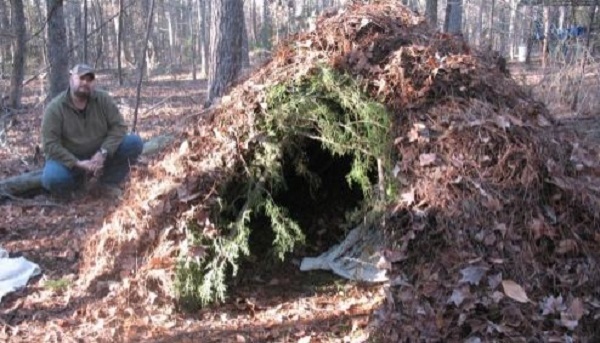 One way we can rely on a survivalist to guide is learning how to create a proper and ideal survival shelter. It's important to learn how to make shelters that will be strong and insulated, but not too small. Sometimes the bigger the shelter can lead to a shelter that breaks down, and we don't want that to happen. Luckily there's a solution to coming up with the “perfect” shelter and it's called the spider shelter, or you may have heard of the name brush shelter. This is an ideal shelter that'll work for all sorts of scenarios. To learn how to make this incredible shelter, head to the next page.